This exquisite USA flag is piece of wearable art. 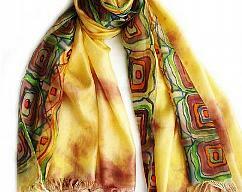 Hand-loomed mulberry silk and natural dyes give the scarf an exceptional soft and light touch. 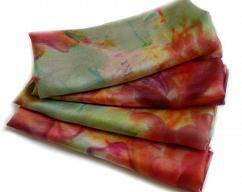 You will enjoy wearing this large scarf as an evening wrap or shawl. It belongs to our New Collection. We celebrate bringing western and eastern styles together. 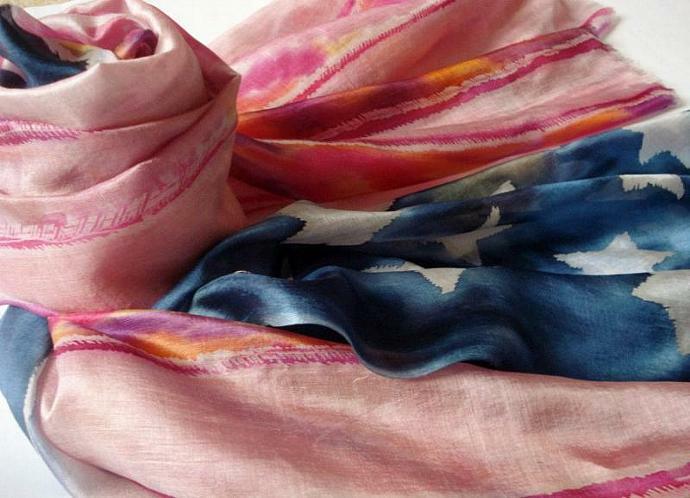 Our hand-painted patterns are not reproduced twice. So you can be assured of possessing a very rare piece. 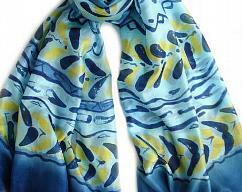 Want a scarf which best matches your outfit? 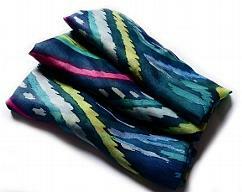 The scarf comes in a beautiful black box with a silver ribbon. Due to the delicate nature of our products, hand wash only in cold water is recommended. No detergents.